Electrical Engineering and Computer Science Dept. This website is currently outdated. For a more up to date version, please visit my homepage at Microsoft. I received my Ph.D. degree in Computer Science and Engineering from the EECS Dept. 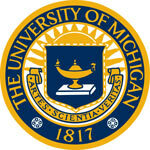 at the University of Michigan Ann Arbor and moved to Microsoft Research. In Michigan, I worked with Prof. Dragomir Radev in the CLAIR group. My research focuses on Natural Language Processing and Information Retrieval, with applications to the Web and social media. I also have a strong interest in Machine Learning, Text Mining, Data Mining, Information Extraction, and Social Network Analysis.